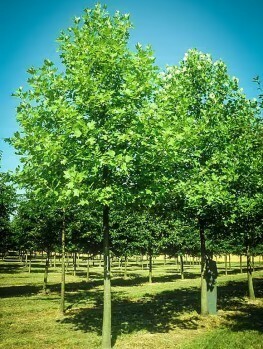 For larger properties or as a single specimen, White Oak is an exemplary tree. Often as tall as it is wide and offering huge variations in texture and color over the year, it is also a rich source of food and shelter for wildlife. 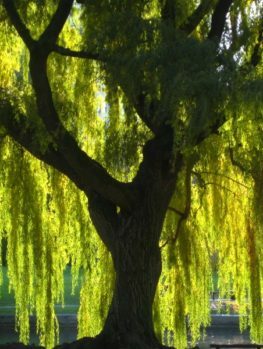 This noble and impressive native tree will really add a host of features to your environment and surroundings, with spring bringing delicate silvery down and young leaves, through the strong greens of summer to the riot of color that erupts in fall. Don’t miss the chance to provide generations of people with shade and pleasure. White Oak is able to withstand drought and thrive in normal soil – all great assets in a tree you can plant and leave to take care of itself. 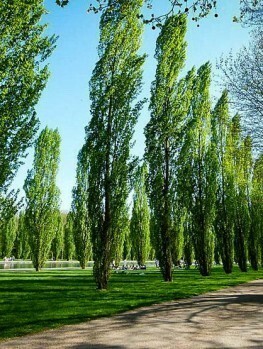 Trees play an important role in taking the garden and greenery from something that exists at your feet and at arms-length; instead the wonderful and varied colors of the seasons can be carried from the ground into the sky, to tower above you. Not only can they serve an important role in softening an urban environment but they provide much needed food sources and protection for animals that rely on them. Outside of the city, in sprawling estates and park lands, they offer a feeling of grandness and texture that is difficult to match – and the White Oak is a prime example this. 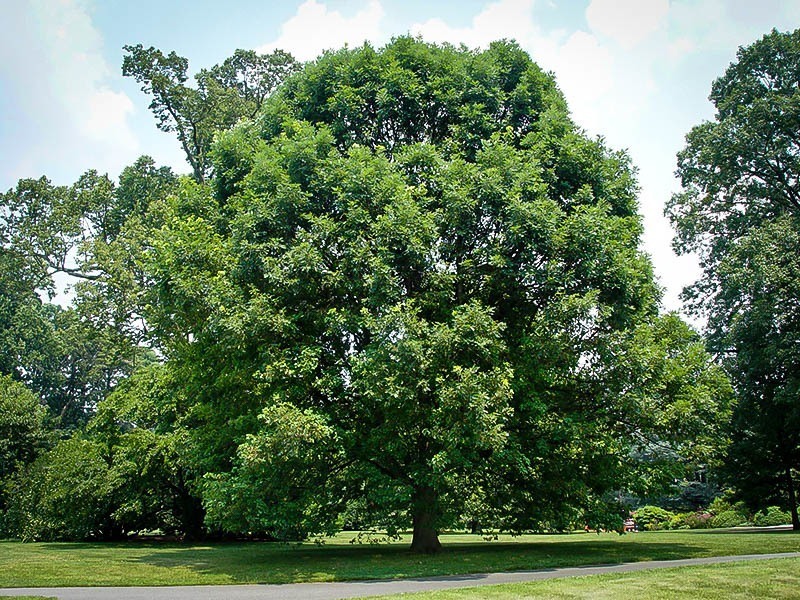 Large and impressive, the White Oak is probably one of the most versatile large Oaks in terms of the environments and soils that it can survive in; native to the eastern coast of North America, it is now found across all states with only a few exceptions. 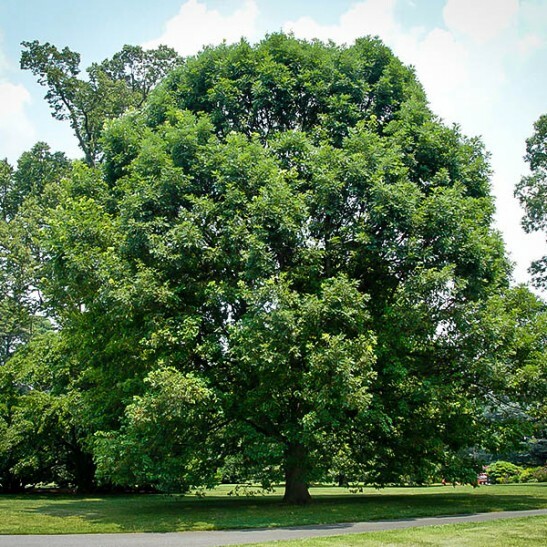 The White Oak is definitely impressive: in uncultivated and undisturbed situations this beautiful tree can grow to 100 feet tall and the same wide. In a cultivated environment they are more likely to reach 80 feet at their most mature. With a lifespan that can be as long as an astonishing 600 years in the wild, and a still hugely impressive 300 years in cultivation, the largest and oldest trees have been found on the eastern shore in Delaware and Maryland. 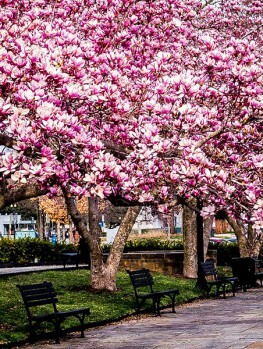 In fact, these trees are found most everywhere in the east with the exceptions of the high Appalachian Mountains, the Delta region of the lower Mississippi and in the coastal areas of Louisiana and Texas. 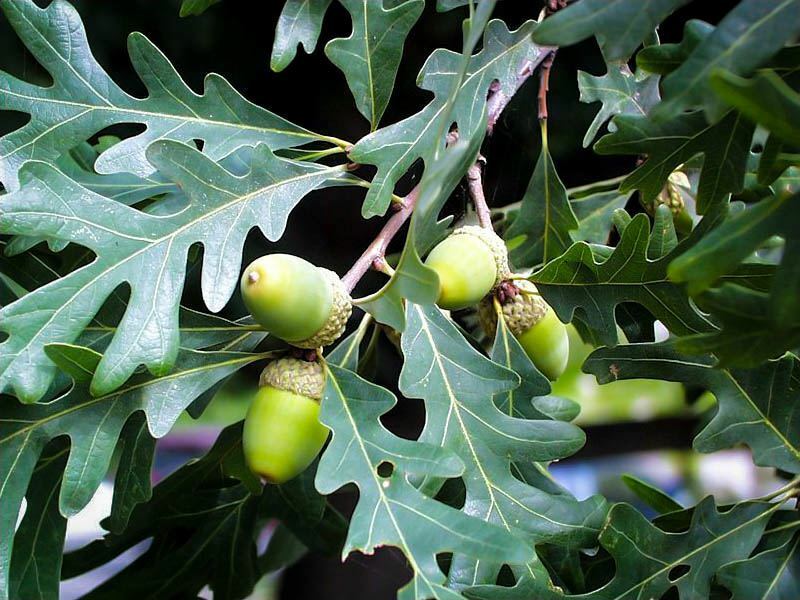 There are many different types of Oak trees, from the small and manageable to the large and impressive, with the White Oak definitely falling into the latter category. A deciduous tree, it goes through many changes throughout the year, starting in spring when the new buds and then leaves are sheathed in a soft silvery white down that extends to the new branches also. 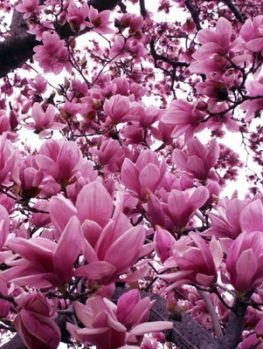 These very young and unfurled leaves are reddish in color which lends a slightly pink hue to the overall impression. Over a relatively short time this silver down makes way for new young, bright yellow-green shiny leaves, and it is not long before the iconic catkins appear with both male and female on the same tree. 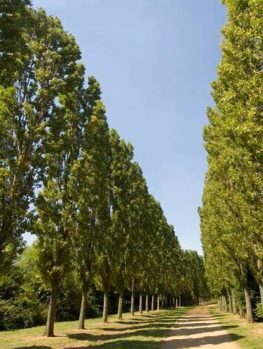 There are considerations that must be taken into account when deciding if you should plant an Oak of any size, possibly even more so with the White Oak. Be mindful of how much space you can offer this superb tree. Although a young, newly planted sapling will send a single tap root straight down into the earth, it will not be long before a complex network of roots will begin to spread just a few inches from the surface. This will grow and create both an interesting feature at the base of the impressive and sizeable trunk, and an unseen web of strong and persistent roots that will think nothing of pushing through sidewalks and drives with very little difficulty. Don’t forget sunlight, too. 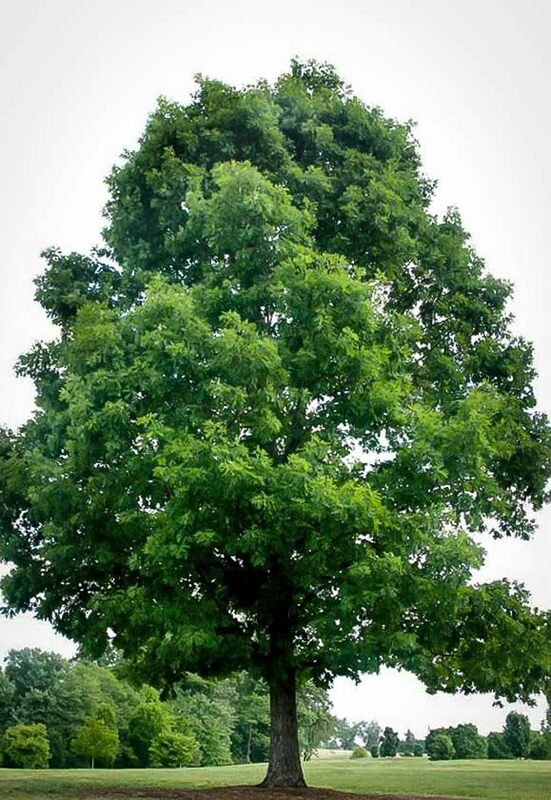 Although the White Oak can survive in the mid years with light shade, it is best to plant it where it will have full sun so it can flourish to its full potential. Come September or October you will find that the fully ripened acorns are providing a veritable feast for many different animals as they fall to the ground, including deer, turkey, ducks and raccoons feeding on the ground and blue jays and red-headed woodpeckers eating straight from the tree itself. These are just a few examples of the wildlife that the White Oak can bring to your private space. Following on from this is the spectacular display that fall can bring with colors from deep rich browns, burnished orange and vibrant reds to purples and violets creating a riot of color in one of tree lovers favorite seasons. It is worth bearing in mind that young trees are also very appealing to deer, who like to browse on the twigs and foliage, so it may require taking precautions to shield the tree if deer are going to have easy access to it. 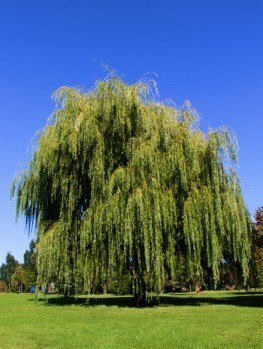 With its highly textured silvery bark, firework display in fall and its ability to shelter and feed such a wide variety of different creatures, this large and inspiring picture book tree is the mainstay of many landscapes; it has certainly earned its place as the State tree of Connecticut, Illinois and Maryland. It is one of the most important trees in the timber industry and its wood is highly prized for its water resistant properties; that makes it rot resistant ,which has made it a popular choice for use in wine and whiskey barrels. This is the source of another of its common names, “Stave Oak”.